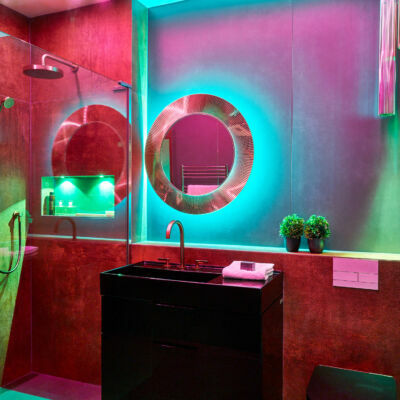 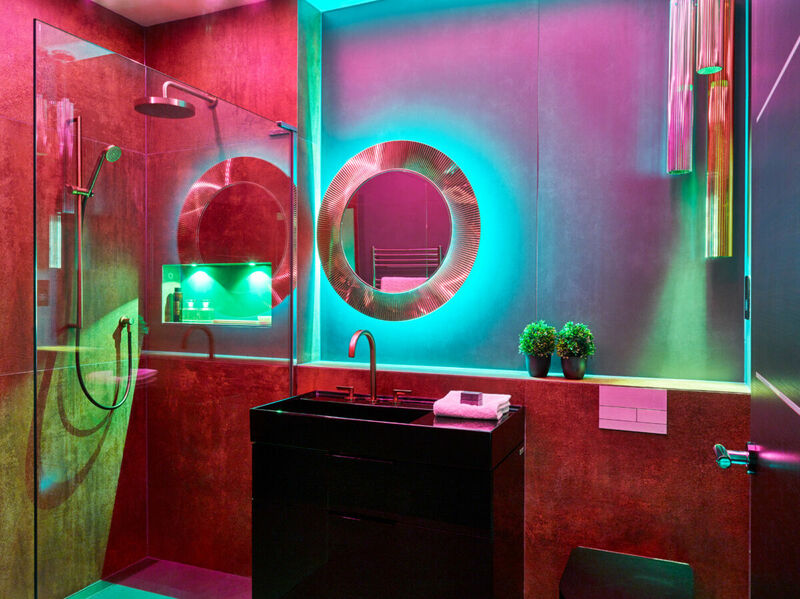 David Aspinall, Director and Senior Bathroom Designer at Sapphire Spaces has transformed a once neutral bathroom into a vivid and atmospheric space – enlivened by bold choices of light, colour and finish. 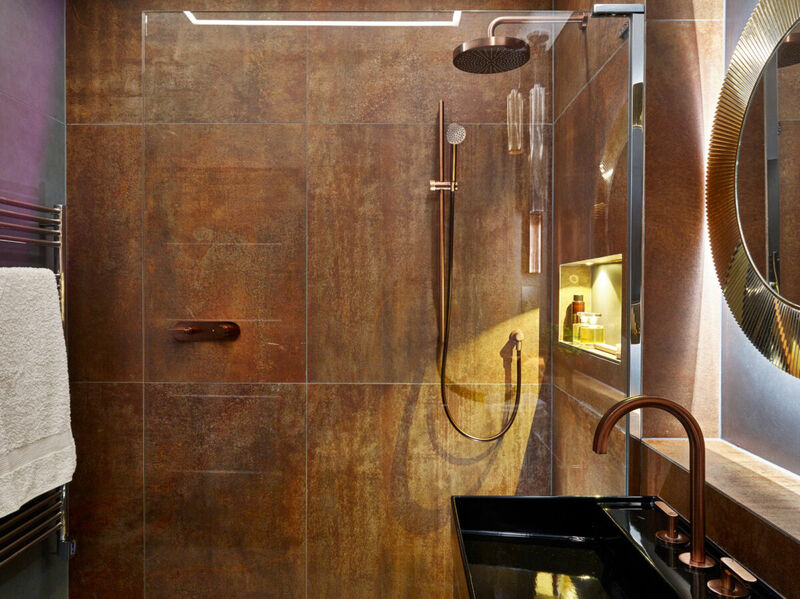 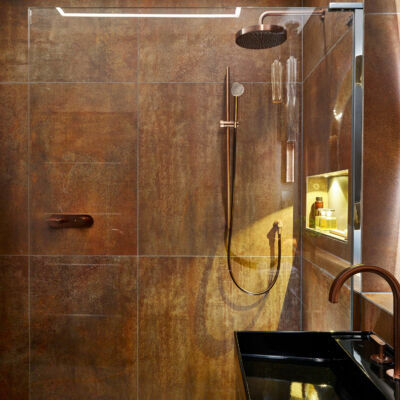 Winner of the best Bathroom Design in the 2018 Designer Kitchen and Bathroom Awards, the project is a stunning example of what can be achieved when we challenge the bathroom space. 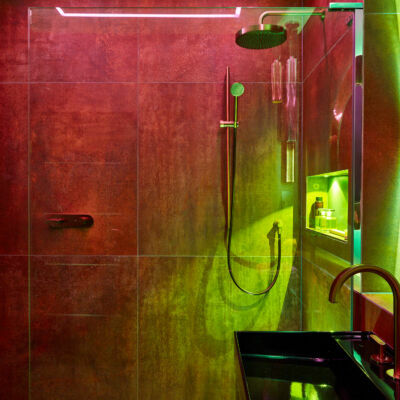 Not only is the space perfectly spatially planned for a neater bathroom size, it uses the space as a canvas to set a multitude of moods using light to striking effect. 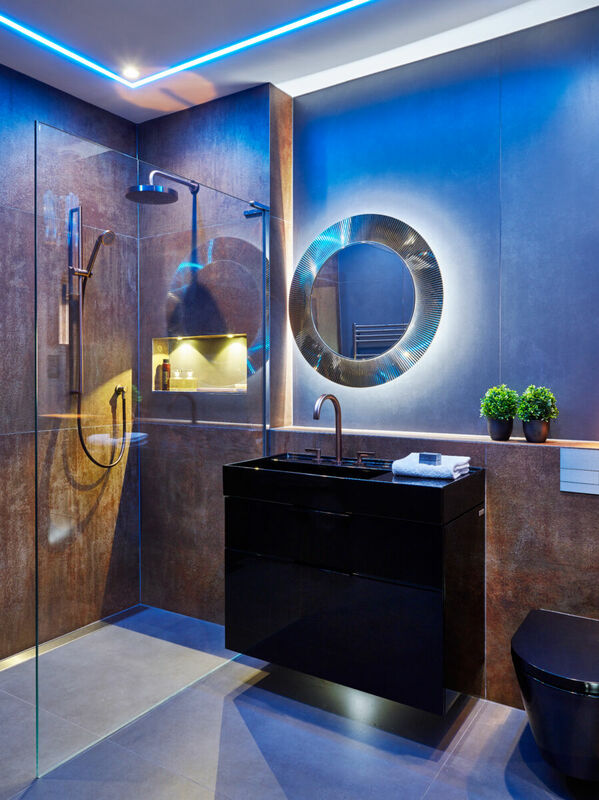 Stunning photographs taken by interiors specialist Nicholas Yarsley capture the lighting transformation. 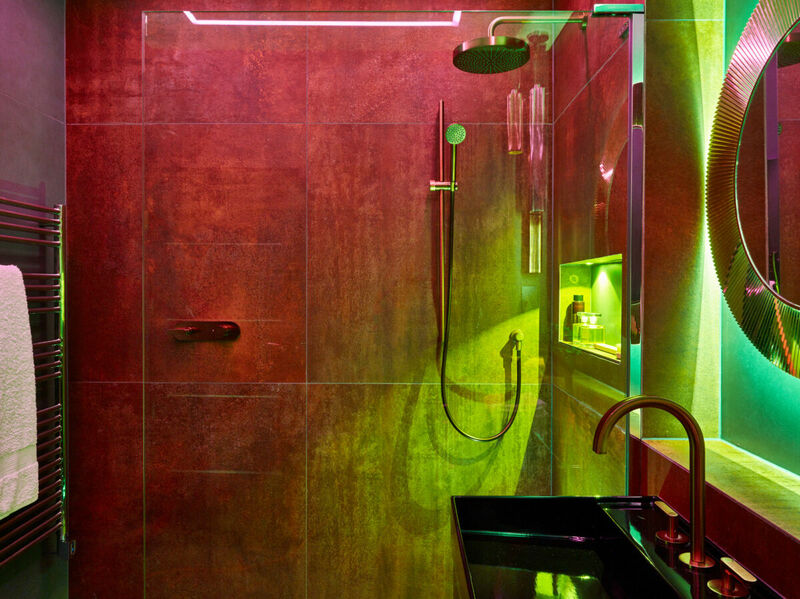 A Matki EauZone Plus Wet Room Panel divides the room beautifully while providing a practical Wet Room solution. 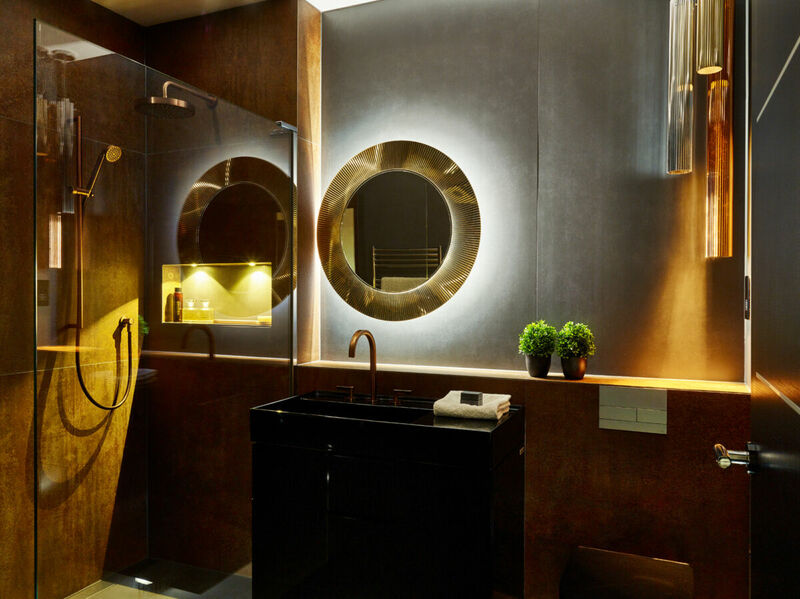 Made from 12mm low-iron glass, the panel has a crystal-clear quality magnifying light and space. 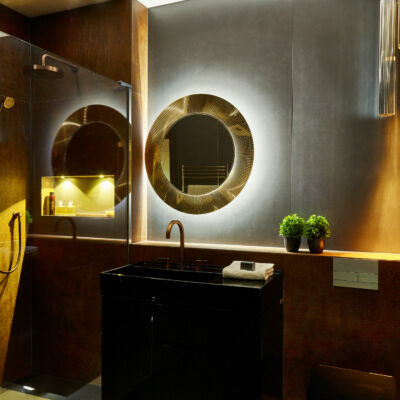 As a self-supporting panel without the need for a brace bar, an uncluttered appearance is beautifully maintained. 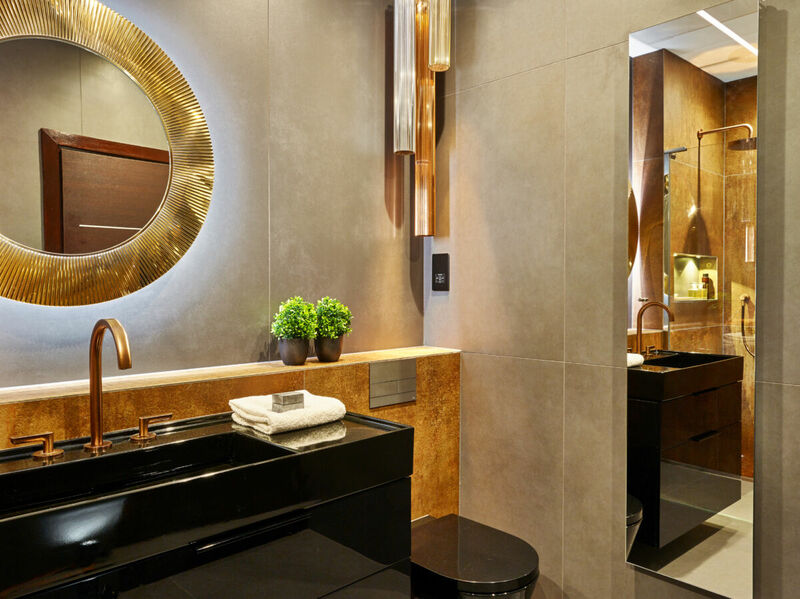 Building the scheme, David used an array of fixtures manufactured by Laufen – the gold illuminated Kartell mirror holding a beautiful cluster of lights forms the counterpoint of the design scheme. 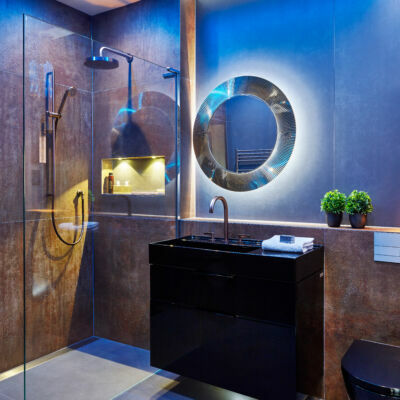 Sapphire Spaces are a displaying Matki Dealer based in Topsham, Exeter. 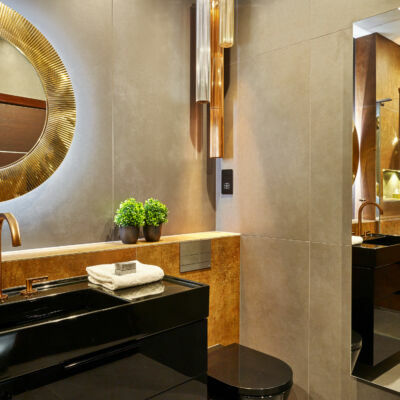 Running a collaborative design process, the team pride themselves on achieving ‘the vision’ for your dream bathroom space; working closely with customers to create something which chimes uniquely with their homes and personality.